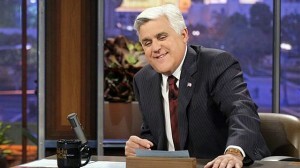 Jay Leno is a genuinely nice guy. I know this for a fact. 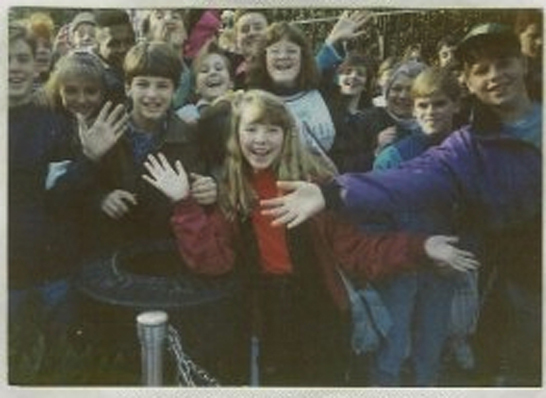 When I was in the 8th grade, my class took a field trip to Washington D.C. While we waited outside the White House (back when when your 8th grade class could get a tour of the White House), someone shouted “Hey, there’s the Dorito Dude!” Sure enough, there he was – Jay Leno. “Dorito Dude! Dorito Dute!” we chanted. (Remember those commercials?) Hearing us, he pivoted and did his little Dorito’s dance. “Crunch all you want, we’ll make more!” he joked, and came over to sign autographs. I was taking pictures like crazy, so many that he looked right at me and said, “Hey, you’re taking too many pictures of me! I should take some of you.” With that he grabbed my Minolta and snapped a photo of my friends and me. The story made news in The Richmond Times Dispatch, our big city paper. My 13-year-old heart felt pretty special. It was the year he took over The Tonight Show. Amazing how it doesn’t take much to make someone feel important. Equally noteworthy is how long the memory of that kindness can last. Here I am, 22 years later, still feeling warm and fuzzy about good ‘ole Jay. So thanks, Jay Leno. Thanks for being a constant “nightlight” for more than two decades…whatever was going on in the world, we knew you’d be there weeknights at 11:35pm to frame it with humor. Thanks for making a 13-year-old awkward 8th grader feel special…because a big superstar wanted to take her picture. Thanks for being successful and a genuinely nice guy. This girl wishes you all the best.